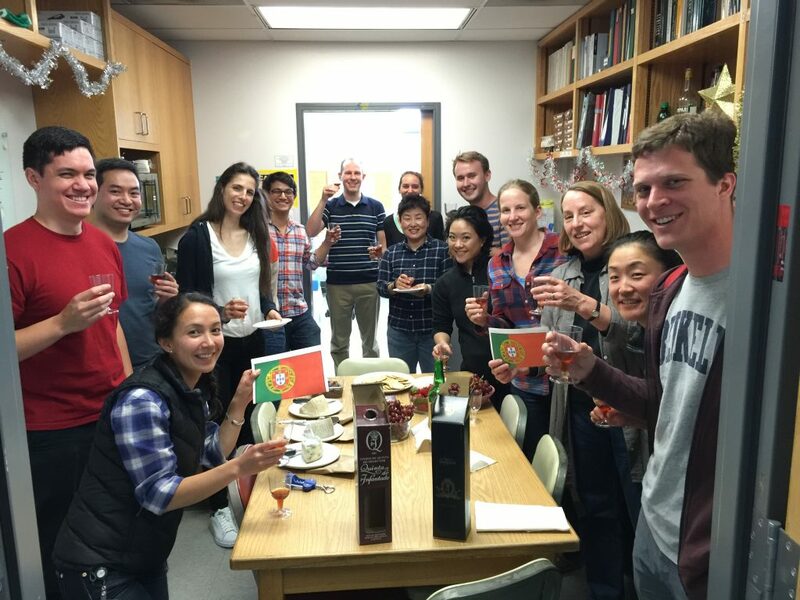 Port tasting after David and Georjana’s trip to Portugal! After hosting visiting scholar Prof. Sandra Paiva and then her student Rosana, David and Georjana decided to take a trip to Portugal to visit. Upon their return, they treated the lab to a port and cheese tasting. This entry was posted in News on May 11, 2016 by Julian Hassinger.